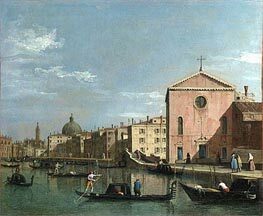 Giovanni Antonio Canal (Venice, Republic of Venice, October 28, 1697 - April 19, 1768), better known as Canaletto, was a Venetian artist famous for his landscapes, or vedute of Venice. He was also a significant printmaker in etching. 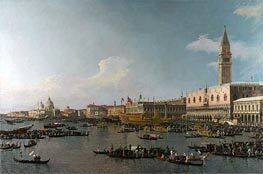 He was a son of the painter Bernardo Canal, hence his nickname Canaletto. 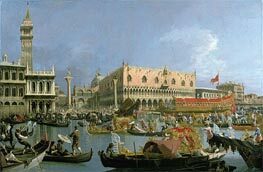 His nephew Bernardo Bellotto was also a landscape painter; he sometimes used the name of Canaletto to further his own career. 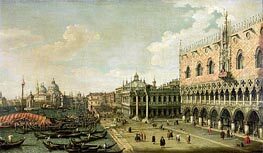 Canaletto was born in Venice on October 28, 1697 to Bernardo and Artemisia Barbieri, and served his apprenticeship with his father and his brother. He began in his father's occupation, that of a theatrical scene painter. 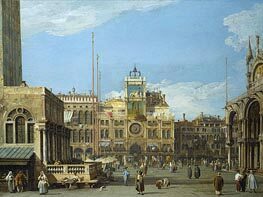 Canaletto was inspired by the Roman vedutista Giovanni Paolo Pannini, and started painting the daily life of the city and its people. 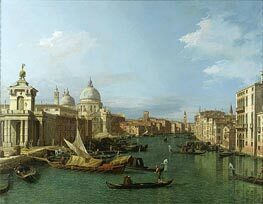 After returning from Rome in 1719, he began painting in his famous topographical style. 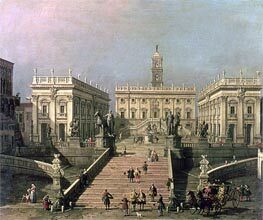 His first known signed and dated work is Architectural Capriccio (1723, Milan, in a private collection). While he studied with the older Luca Carlevaris, a moderately talented painter of urban cityscapes, he rapidly became his master's equal. 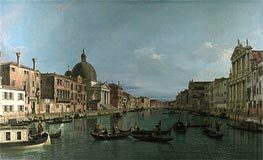 In 1725, the painter Alessandro Marchesini, who was also the buyer for the Lucchese art collector Stefano Conti had inquired about buying two more views of Venice, when the agent informed him to consider instead the work of "Antonio Canale... it is like Carlevaris, but you can see the sun shining in it." 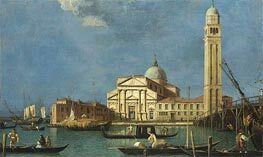 Much of Canaletto's early artwork was painted 'from nature', differing from the then customary practice of completing paintings in the studio. Some of his later works do revert to this custom, as suggested by the tendency of distant figures to be painted as blobs of colour - an effect produced by using a camera obscura, which blurs farther-away objects. However, his paintings are always notable for their accuracy: he recorded the seasonal submerging of Venice in water and ice. 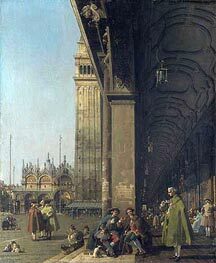 Canaletto's early works remain his most coveted and, according to many authorities, his best. One of his finest early pieces is The Stonemason's Yard (1729, London, the National Gallery) which depicts a humble working area of the city. 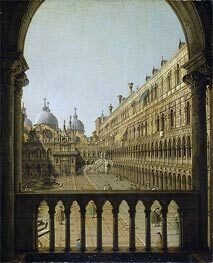 Later Canaletto became known for his grand scenes of the canals of Venice and the Doge's Palace. His large-scale landscapes portrayed the city's famed pageantry and waning traditions, making innovative use of atmospheric effects and strong local colors. For these qualities, his works may be said to have anticipated Impressionism. Many of his pictures were sold to Englishmen on their Grand Tour, most notably the merchant Joseph Smith (who was later appointed British Consul in Venice in 1744). 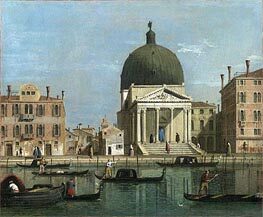 It was Smith who acted as an agent for Canaletto, first in requesting paintings of Venice from the painter in the early 1720s and helping him to sell his paintings to other Englishmen. 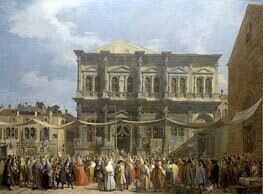 In the 1740s Canaletto's market was disrupted when the War of the Austrian Succession led to a reduction in the number of British visitors to Venice. 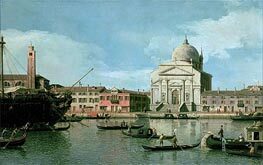 Smith also arranged for the publication of a series of etchings of caprichos (capriccio Italian for fancy), but the returns were not high enough, and in 1746 Canaletto moved to London, to be closer to his market. He remained in England until 1755, producing views of London (including the new Westminster Bridge) and of his patrons' castles and houses. 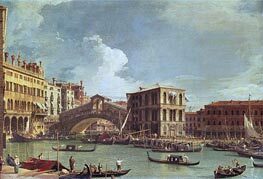 His 1754 painting of Old Walton Bridge includes an image of Canaletto himself. He was often expected to paint England in the fashion with which he had painted his native city. 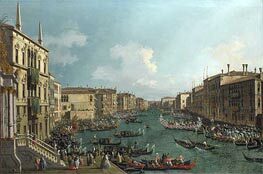 Overall this period was not satisfactory, owing mostly to the declining quality of Canaletto's work. 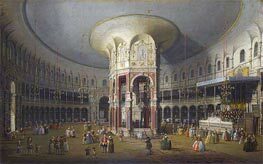 Canaletto's painting began to suffer from repetitiveness, losing its fluidity, and becoming mechanical to the point that the English art critic George Vertue suggested that the man painting under the name 'Canaletto' was an impostor. The artist was compelled to give public painting demonstrations in order to refute this claim; however, his reputation never fully recovered in his lifetime. 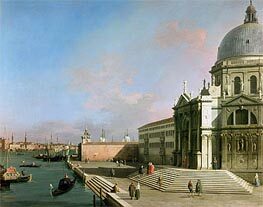 After his return to Venice, Canaletto was elected to the Venetian Academy in 1763. He continued to paint until his death in 1768. In his later years he often worked from old sketches, but he sometimes produced surprising new compositions. He was willing to make subtle alternations to topography for artistic effect. 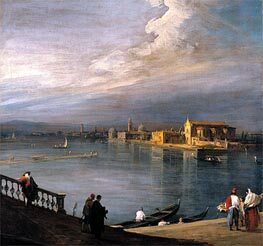 His pupils included his nephew Bernardo Bellotto, Francesco Guardi, Michele Marieschi, Gabriele Bella, Giuseppe Moretti, and Giuseppe Bernardino Bison. 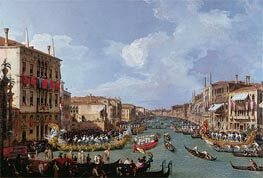 Joseph Smith sold much of his collection to George III, creating the bulk of the large collection of Canalettos owned by the Royal Collection. There are many examples of his work in other British collections, including several at the Wallace Collection and a set of 24 in the dining room at Woburn Abbey. 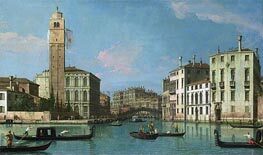 Canaletto's views always fetched high prices, and as early as the 18th century Catherine the Great and other European monarchs vied for his grandest paintings. 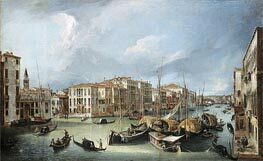 The record price paid at auction for a Canaletto is £18.6 million for View of the Grand Canal from Palazzo Balbi to the Rialto, set at Sotheby's in London in July 2005.